When you have a busted furnace or an air conditioner that won’t turn on, Cote’s Mechanical is here to help. Our company provides HVAC repairs for furnaces, heat pumps, central air conditioning systems, and other heating and cooling systems for residential and commercial customers. The skilled technicians at Cote’s Mechanical will provide you with the best A/C and heating services in Roanoke so that you can maintain a comfortable interior all year round. Cote’s Mechanical can also help your home or business become more energy-efficient with the installation of a brand new heater or air conditioner. We offer maintenance for heating and cooling systems on a regular basis as well, which helps keep your system in the best condition possible. Whether you need repairs over the weekend or want to invest in a new HVAC system, our professional HVAC technicians can provide you with the service you need for your Roanoke home or business. When you count on Cote’s Mechanical for A/C and heating unit installation and repair in Roanoke, you’ll get high-quality care from licensed professionals. 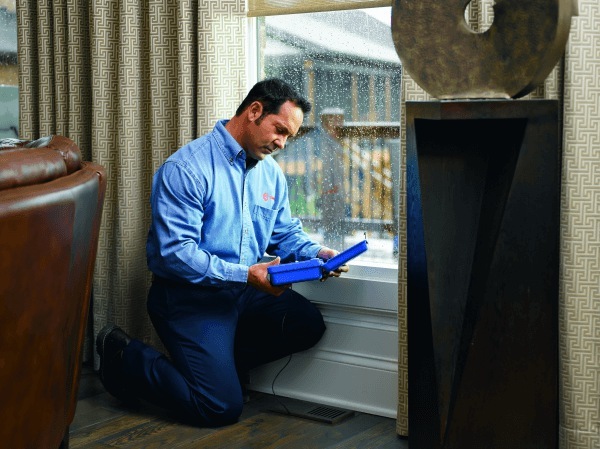 Our HVAC experts have handled many HVAC jobs for homeowners and business owners in the Roanoke area, including emergency repairs and new installations. When you want your home or business to stay at the right interior temperature during all seasons, we can help. At Cote’s Mechanical, our maintenance services can help detect problems early and ensure that your heating and cooling system continues running properly. Whether you need a tune-up before the summer starts or maintenance throughout the year, we can set that up for you. With our replacement services, you can also depend on getting damaged or worn out equipment removed and replaced promptly. When you turn to Cote’s Mechanical for your heating and cooling needs, you can expect to get prompt service from highly qualified and courteous professionals who have years of experience in the HVAC industry. We have a long history of providing the highest quality HVAC service in the Roanoke area. Cote and Kristi Wyatt, co-owners of Cote’s Mechanical, have gathered a team of the most dependable technicians around. Our customers have left numerous reviews mentioning how thrilled they’ve been with the service we provide. 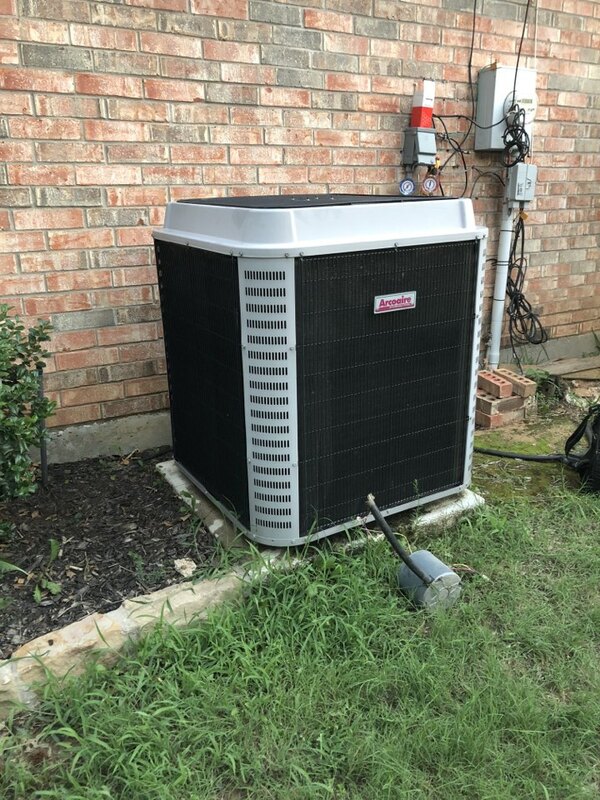 From technicians arriving according to schedule to repairs being done right the first time, our customers know that they can count on us for HVAC service. The dedication we’ve shown our customers over the years has resulted in multiple awards and recognition, including Angie’s List’s Super Service Award and an A+ rating from the Better Business Bureau. Trane has also certified our company as a Trane Comfort Specialist, and the Air Conditioning Contractors of America has given us accreditation. Roughly 6,974 people make their home in Roanoke. The city is located close to Denton, which is a 25-minute drive away via US-377 N. Residents can also get to Dallas in about 40 minutes via TX-114 or I-30 E, and Fort Worth is about 30 minutes away via I-35W S.
Roanoke residents have plenty of outdoor recreation amenities in the city. Do some fishing, explore walking trails, and play softball at Roanoke Community Park. Go for a swim at FairPlayPark, or fly kites, have a picnic and play tennis at Cannon Parkway Park. Cool off and have fun on water slides and other water rides at Hawaiian Falls water park. Residents can also enjoy some fried chicken at Babe’s Chicken Dinner House, or chow down on pulled pork at Hard Eight BBQ. Roanoke offers many volunteer opportunities for residents who want to get involved in the community. Some of these opportunities can be found at the Public Library, Historical Society Board, Roanoke Food Pantry, and Al & Lula Mae Slaughter Park Foundation. If you need HVAC maintenance, repairs, or installation at your home or business in Roanoke, contact Cote’s Mechanical today. We have a team of technicians ready to help you get a heating and cooling system that works properly throughout the year. Our Family is grateful to Cote’s tech Robert. We appreciate our recent service need. Robert met with us on an emergency call. He was professional, personable, diangnosed and resolved the problem at lightning speed. Craig did a great job! Very efficient and friendly service! Bill let me watch over the whole process so I could understand. Helpful in tips to not experience same problems again. Bill just came out on a Saturday. He was super friendly, very efficient, and took great care of us!!! Great guy, service was wonderful. Fast & prompt. Changed condenser fan motor out on this unit. Working great at this time. Arco Ac and heat system.